FILE 9 built by Alfred Cypress is one of the sub training areas housing several simulations, each designed with its own unique features. Using everything from stealth, weapons, searching, and sometimes strategy to achieve your objectives, your reflexes and ability to stay calm will be tested under pressure. But with patience and focus, you can achieve success! Alfred Cypress has several locations around the world that are always in danger of a security breach or being hacked. This is due to what he has invented with energy sources as well as what he was currently working on. Because of these constant threats, he has created sub training areas away from the main training underground facility and hangars. This area is known as FILE 9. Here there are multiple programs, which include Transport Tunnel, Infiltrate and Destroy, Drone Evasion and others. Each has specific event possibilities to help be prepared and to overcome possible adversaries if necessary. Lorna, who was adopted at birth, grew up not anything about her birth family. Now she learns her actual grandfather is Alfred Cypress. This new along with Alfred’s recent disappearance, comes as a shock. With the events that have followed since she has learned this, she knows she need to take advantage of as much training as possible. 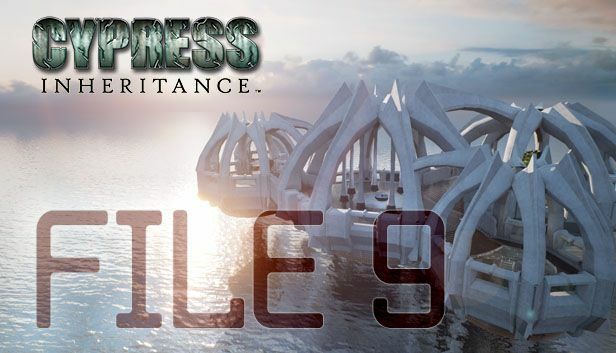 As part of the Cypress bloodline, Lorna is able to access FILE 9 and utilize each of these areas to prepare herself for what’s to come. Currently within sub training area FILE 9, there are simulations that are up and running with more coming on line as completed. Each area does have its own unique features and will require skill to achieve the objectives and complete. © 2012-2019 Cypress Inheritance, LLC. The trademark CYPRESS INHERITANCE™ and CYPRESS INHERITANCE FILE 9™ is owned by Cypress Inheritance, LLC. All rights reserved.